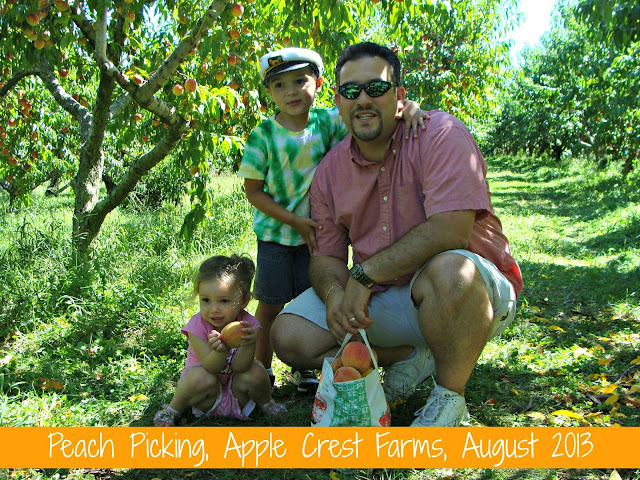 A couple weeks ago, Mr. Juggling Act and I took the kids to go peach picking. We went to Apple Crest Farms in Hampton, NH. I highly recommend there Pick Your Own, farm stand and ice cream shoppe! While we’ve been there before, we’d never been peach picking. 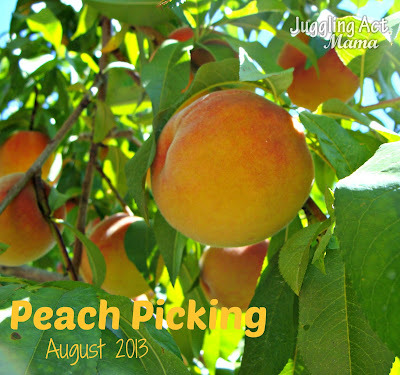 There was a long walk to the orchard – in fact, it took us longer to get to the peaches than it did to pick them! I marveled at how big Olivia has grown since last year when we took the kids apple picking – what a difference a year makes. Plus now, I’m itching to pick apples, too! Of course, you know what this means, right? Peach recipes are coming to the blog soon!